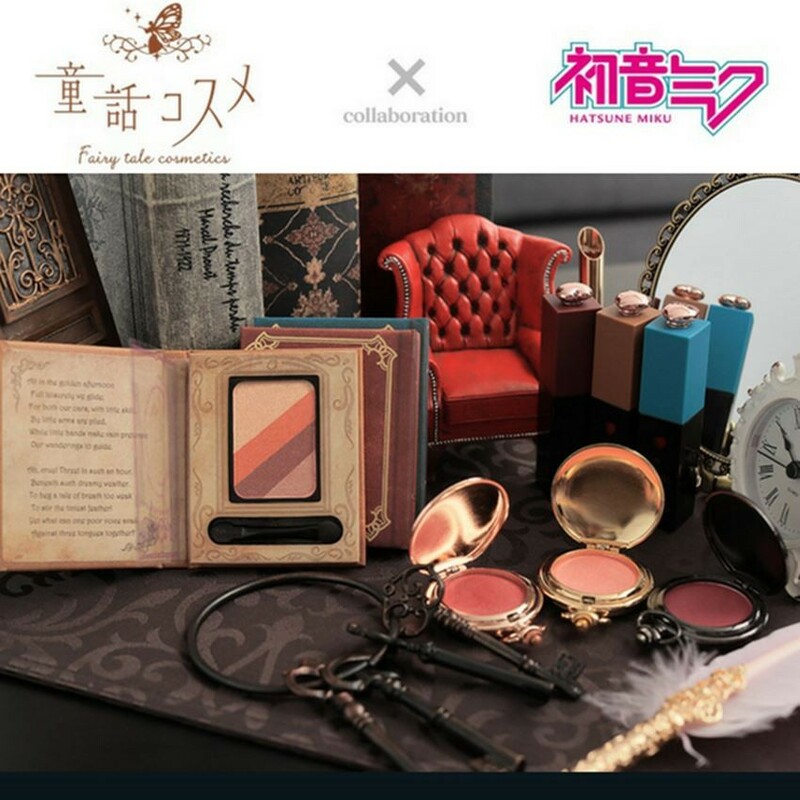 The birth of the collaboration of “Fairy Tale Cosmetics” and “Hatsune Miku”! 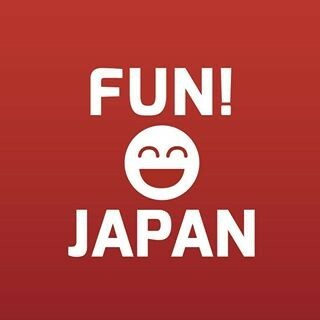 Reservation starts at Village/Vanguard Online Store! 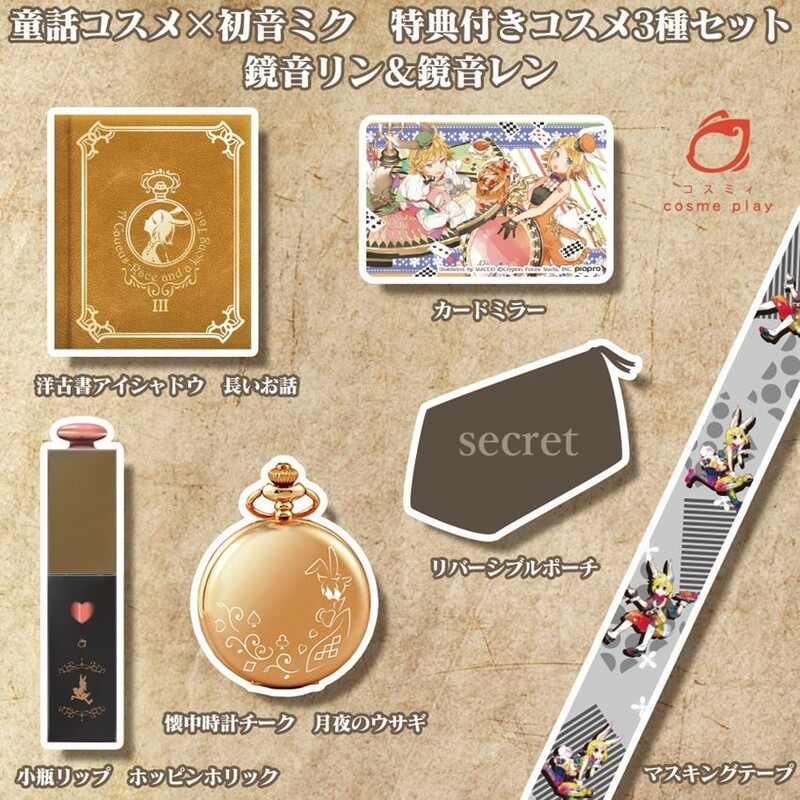 What is “Hatsune Miku” × “Fairy Tale Cosmetics”? 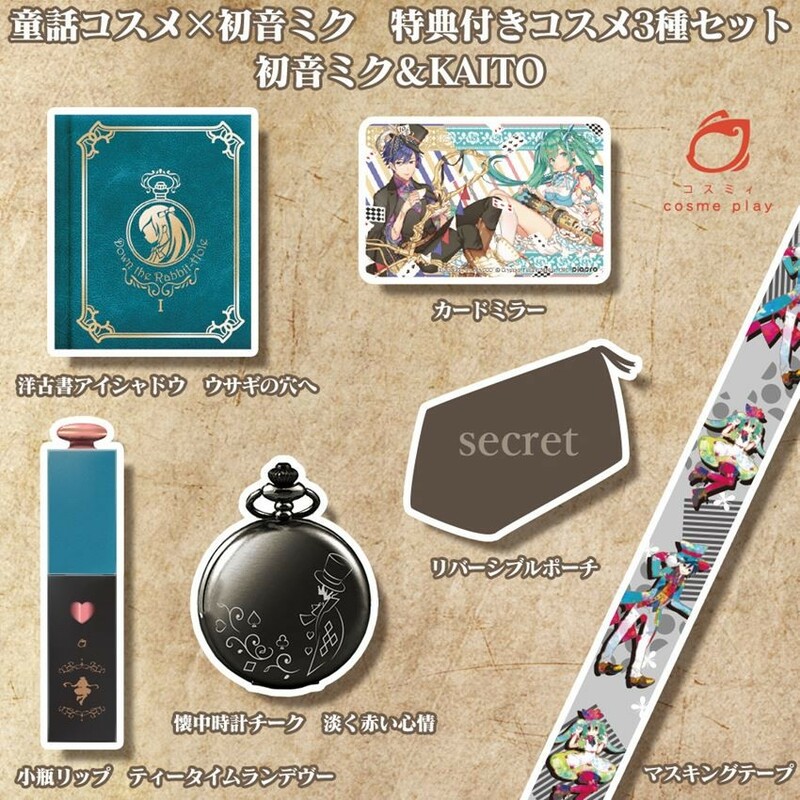 The characters including Hatsune Miku (初音ミク), are disguised as characters appearing in Alice in Wonderland. 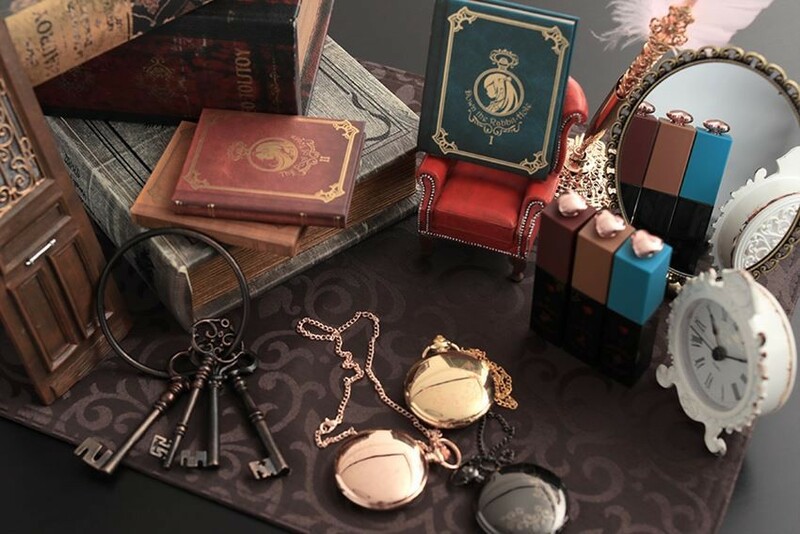 There are in total 12 products available: 3 types of book-styled eyeshadow, 3 types of pocket watch-typed cheek blusher, 3 types of lip gloss, and 3 different special cosmetics sets. 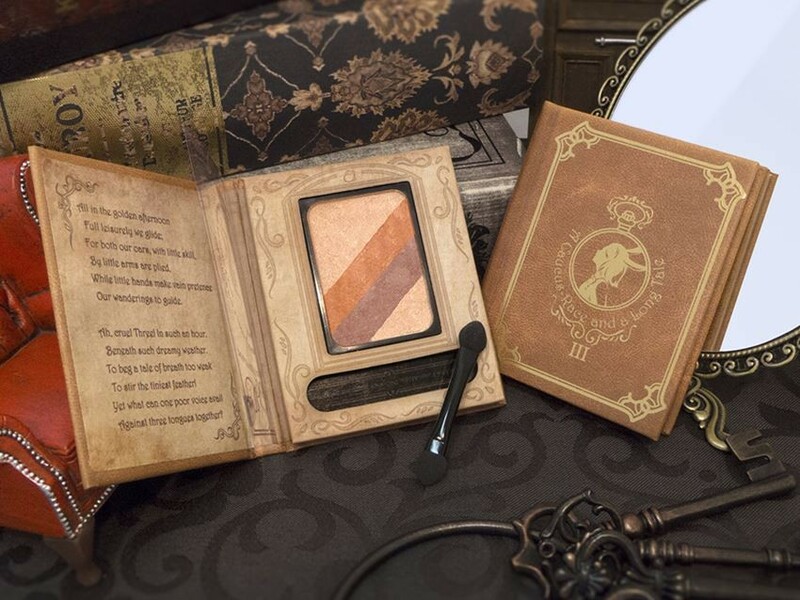 The eyeshadow palette that is very particular about the sense of use, is contained in a luxurious package with an antique western book design. 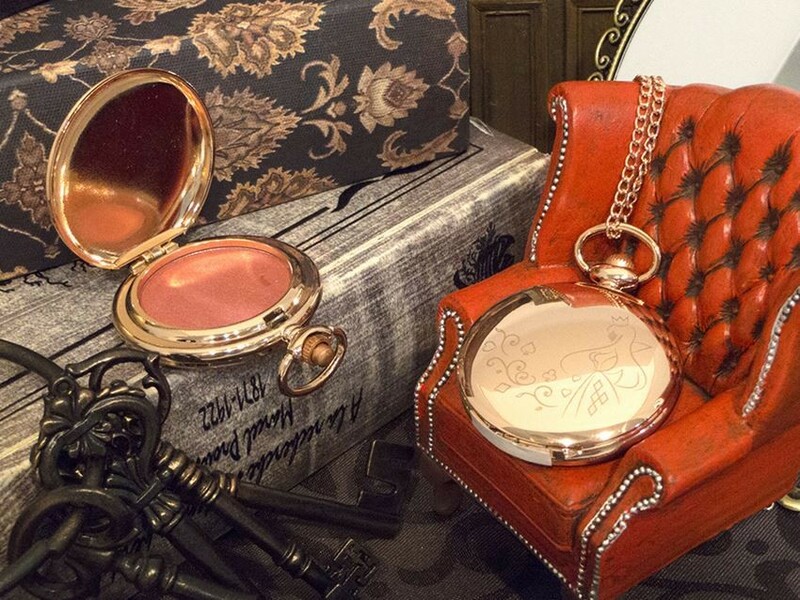 Each palette has a combination of colors that can produce attractive eyeshadow and can be used for various situation. 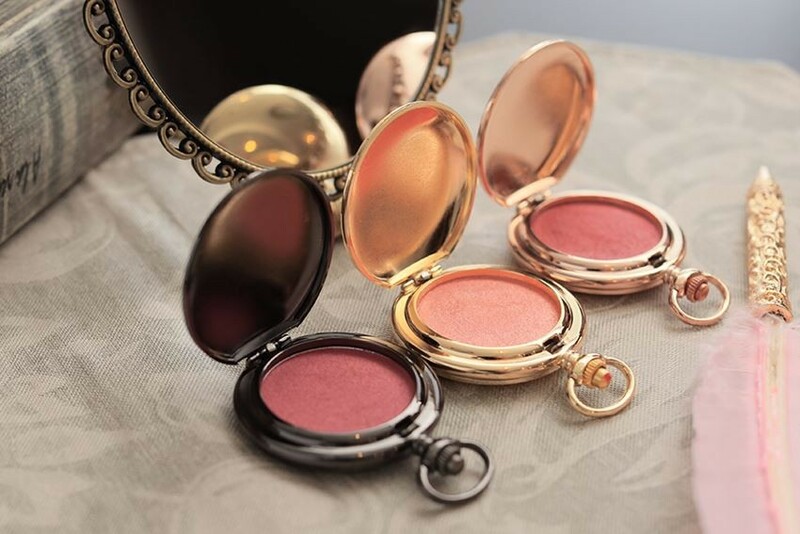 The cheek blusher with its exterior as pocket watch is very convenient as it can be also used as charm. 3 colors are available: red, rose and pink. You can choose your favorite color. 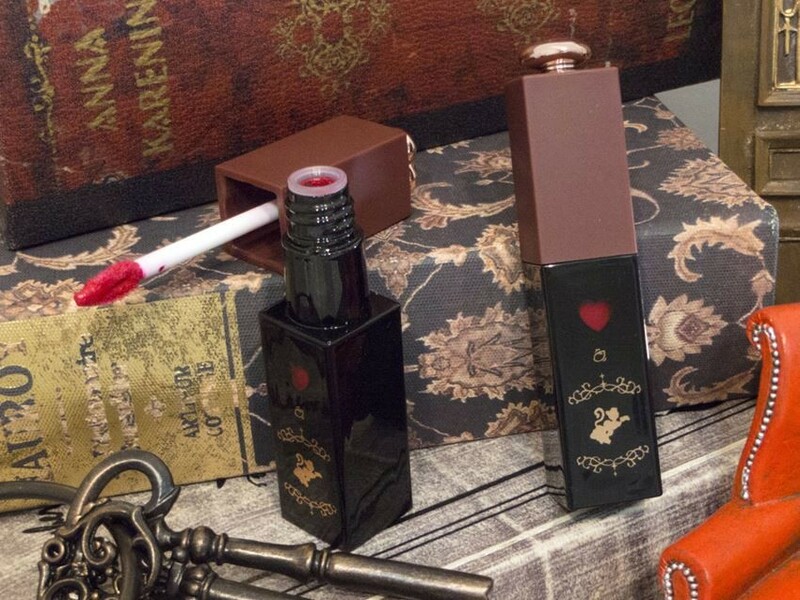 The lip gloss with an emphasis on the heart shape on its bottle is easy to use with its excellent sense of touch and color. The slight tinted colors stick to lips easily and are user friendly. 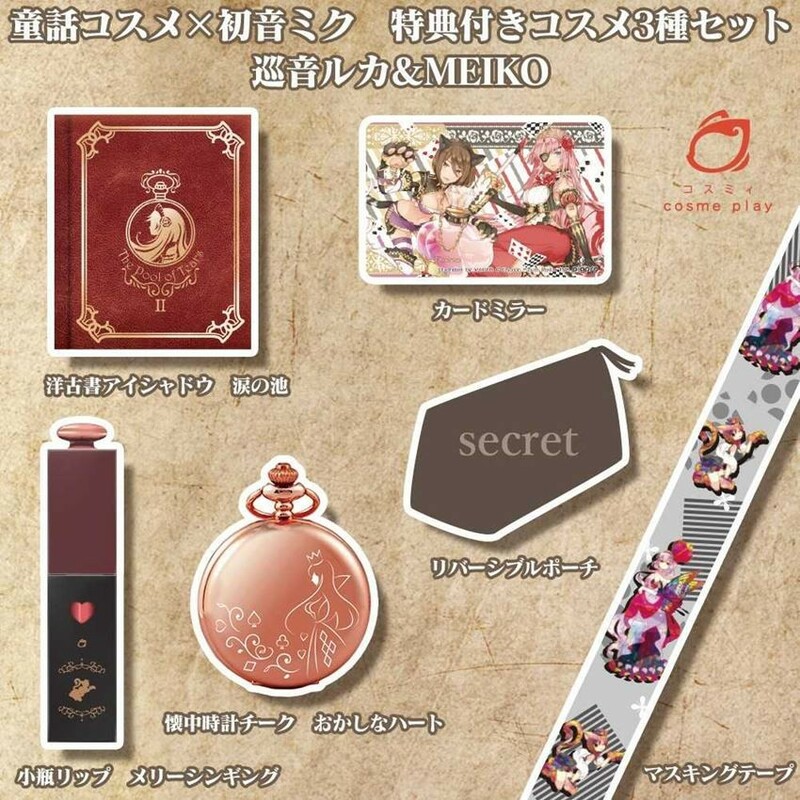 In addition to the eyeshadow, cheek blusher and lip gloss, the set also comes with a reversible pouch, card mirror, and masking tape. The pouch has 2 pockets for keeping various items and is reversible, so you can choose the pattern you like according to your mood. *Reservation begins from 10th August 2018 and shipment is scheduled from mid of September 2018. 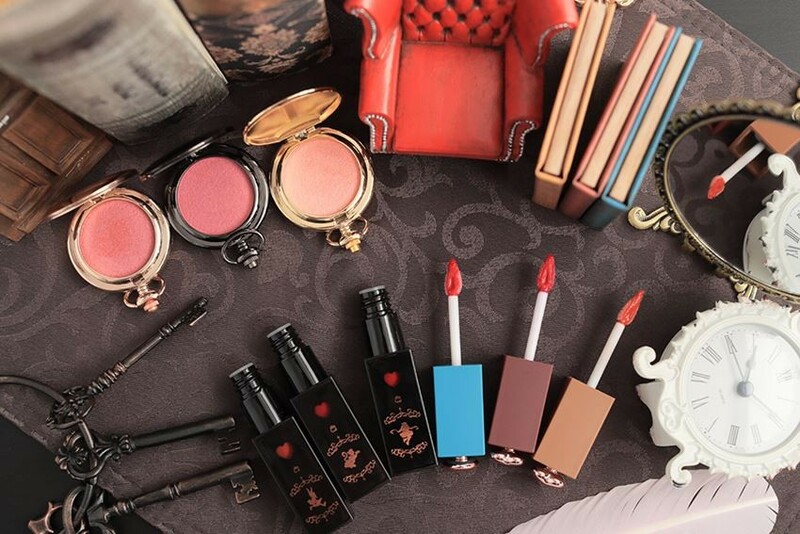 When TCB, an illustrator posted on Twitter with the comment “I would like to have cosmetics with a fairy tale motif” together with the illustrations, from here through crowdfunding, the eyeshadow series are able to be commercialized. 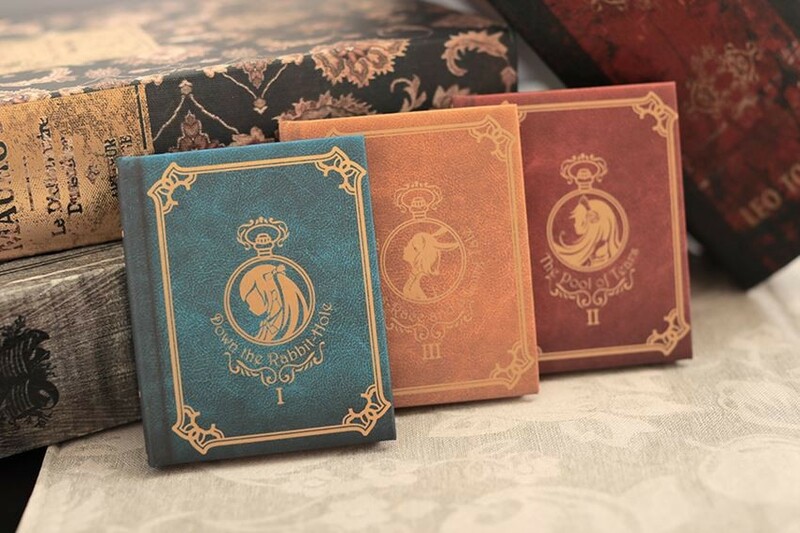 Its packaging with the design as a western book is loved by many and has gained strong popularity even now. Developed by Crypton Future Media Inc., it is a “software” where everyone can sing just by entering the lyrics and melodies. 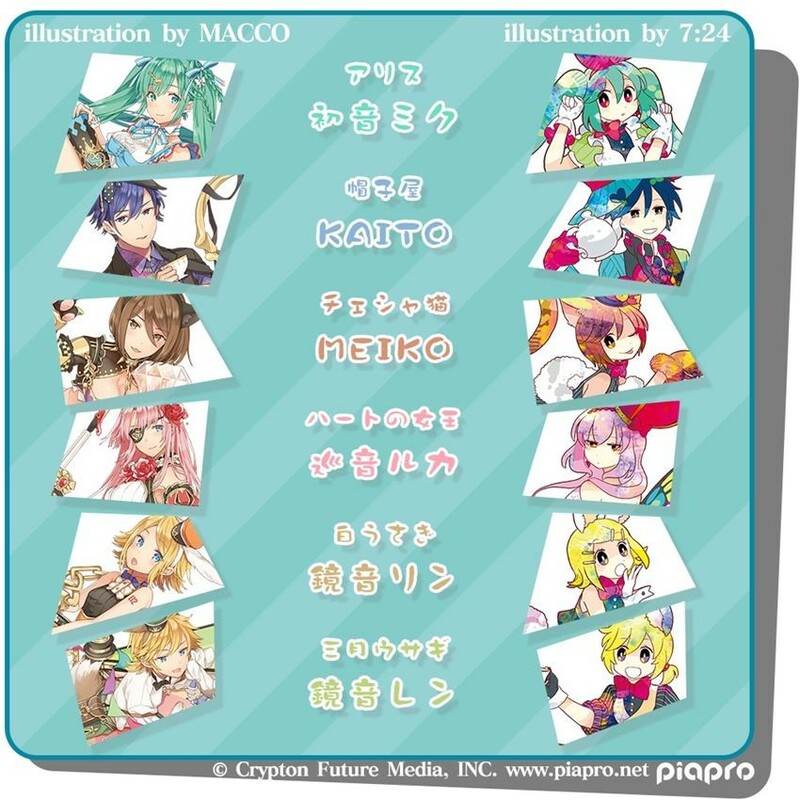 Many creators have used “Hatsune Miku” to create music and post them online, and then become famous. “The characters” have also gained much attention, and as virtual singers, there are many goods developed and live performances. Their popularity is spreading through the world.